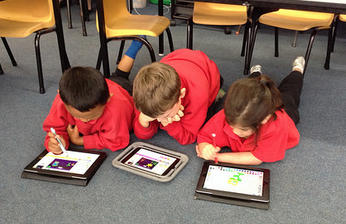 Last year I attended a wonderful PD session from Amanda Signal about using Scratch with middle - upper primary. 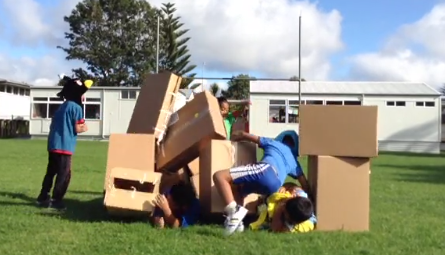 The subsequent fun and learning in my classroom was a total win. 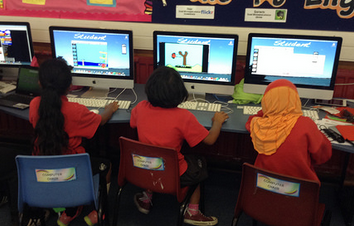 I tried to introduce Scratch in term 1 this year to my year 4 students. However, it was bad timing as they were still trying to come to grips with managing all things Google. Term 4 seemed like the perfect chance to try again! 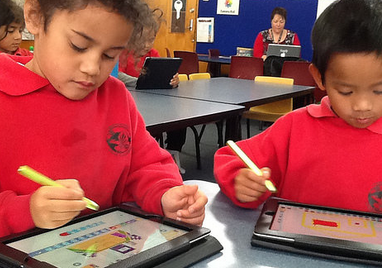 - This time with ScratchJr on iPad and Scratch on Chromebooks. 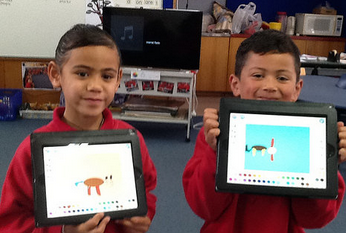 We have spent the last week learning with Scratch and ScratchJr to share our stories, tell jokes and even just to show off the cool things it can do. Most notably the students learnt about timing and angles through trial and error as they attempted to make their sprites do the unimagined. The problem solving and thinking at such a young age just can't be beat. 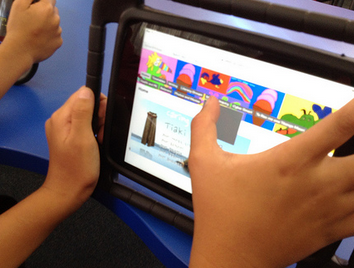 Today I was asked to send a handful of kids to share ScratchJr with the year 1s. 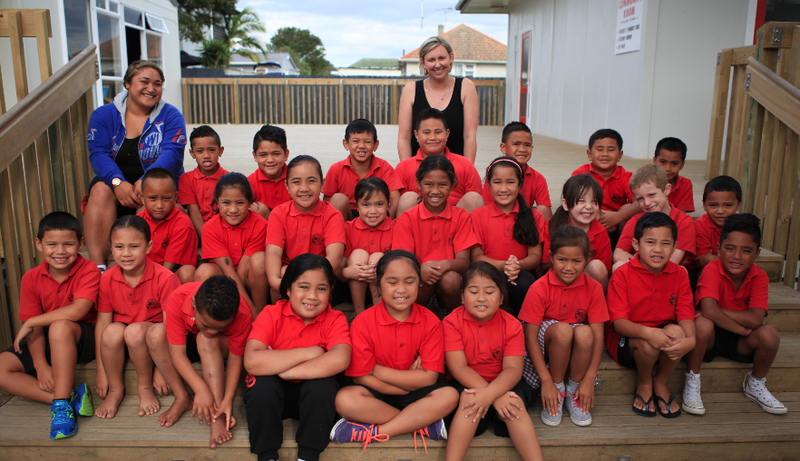 Karen Belt - their teacher, knew that technically her students were more than ready for it, however, having a more focused approach with Tuakana Teina would mean that both her students and the older ones, would be learning, creating and sharing in one happy moment. The morning was an utter success. Karen commented that you could hear a pin drop in the classroom as her young ones came to grips with a new tool. My kids all thoroughly enjoyed themselves and thought that perhaps the 5yr olds' animations may rival their own. - They now have some work to do! The draw card for the students as they create sprites and backgrounds and experiments with code, is indeed the element of experimentation and creating things never created before. They excitedly discuss new found tricks and techniques with friends and eagerly help one another to complete some fairly sophisticated stories. 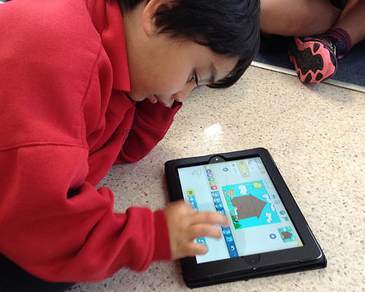 Unfortunately, like many iOS apps, ScratchJr is unable to be shared online. So as much as the students want to post their creations on their blog, without screencasting via a laptop or desktop, it can't be done. However, the handful of year 4s working on Scratch should have some fabulous recreations of Hairy Maclairy and some original stories to share in a short while. A culture of creation and reflection in a classroom, I believe, leads to true understanding of the learning process and how best each individual responds to new ideas and challenges. In young learners, this happens many times a day and in many situations. As simple as when drawing, trying to spell a new word or tie a shoelace. Through to the more complex tasks of crafting an effective story, creating an appealing movie or writing a new song to share learning. Each occasion calls for learning and it's our job to recognise those moments and build in the reflective thought and language until it becomes an innate experience. I watched a 6yr old show me how she had learnt to copy and paste in Kidpix to make 2 of the same picture. After successfully copying and pasting her image, she quickly realised that the original image had been too big and there was no space on the page for the copy. Without hesitation, she realised what she had done and said "Oh, it's too big, I can do that again and get it right this time." I asked her what she would do and how it would be better second time around. "I'll just have to make my picture smaller first, so that when I paste there'll be room for two pictures." Not only are our students learning how to create great pieces of art, amazing stories, fascinating animations or solve complex problems, these tasks teach them about how to learn. A skill that will serve a greater purpose than any other. These learners will always have learning at the forefront if they are encouraged to create, reflect, re-create and refine. As a part of my MIT Inquiry for this year, I spent a day hanging with the amazingness that are Michelle George and Karen Belt. Their 5yr olds had spent only 6 weeks at school by the time I got to visit them. 6 weeks to learn routines, habits and skills to set them up for a life time of learning. Karen and Michelle have these kids so engaged with learning how to be a learner - and at the same time teaching those valuable skills of reading, writing and arithmetic. These first two movies are examples of "writing time". In this Year 0 class the students co-construct their writing through song. The rhythm and beat make the language and structure much simpler to recall. Students then record each other "singing" their story back again, These recordings are shared via the class Apple TV - The 5yr olds have no problem waiting for their turn and then Air Playing their device independently. 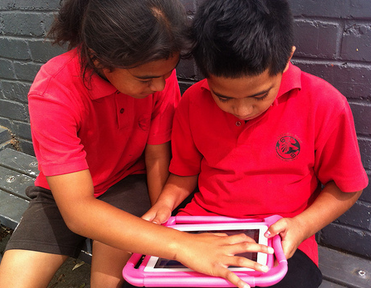 The kids even figured out early on, that they needed to film each other using the other person's iPad - keeping that record of rewindable learning on each student's own device. Reading is still conducted in a guided sense with the teacher and small groups of 3. 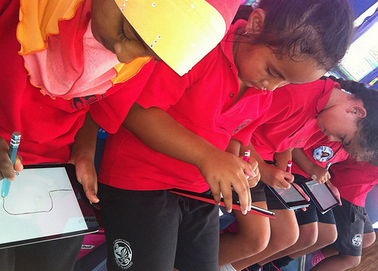 The iPad comes in as the teachers utilise Explain Everything for the students to complete "Follow-Up" activities, These may involve arranging sentences, drawing a picture or practicing words. 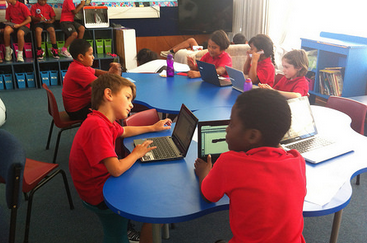 The power is that each student records their learning while they undertake the activity. 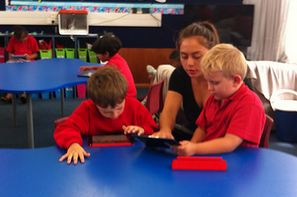 No longer is the teacher left out of the independent learning. A quick rewind and you are there with the student as they complete the task. You can truly hear them think. Major things are happening for our smallest students and as their teachers we need to ensure that this learning develops as they move through the school. I can see great connections with my learners and the way thinking, self management and contributing are central to their day to day tasks. Such an honour to share a day with these ladies and children as they explore such engaging ways to encourage great learning in their classroom. After 3 years in an almost entirely Google Environment, I was heavily reliant upon Hapara's Teacher Dashboard for work flow and monitoring. Every student knew that their work was visible to all the right people (and beyond) with only one click. As the teacher, I knew that I could always keep on top of what was going on with such young learners. As I made the switch to a 1:1 iPad class, I did wonder how Teacher Dashboard would hold up with non-Google products. Again, I find myself being unable to live without this tool. 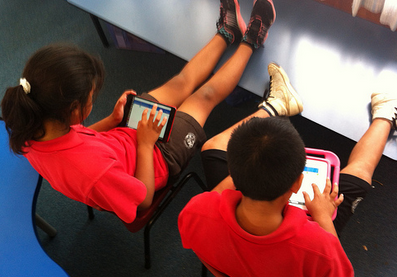 We are essentially a 1 App outfit, in that the students are learning solely with Explain Everything. 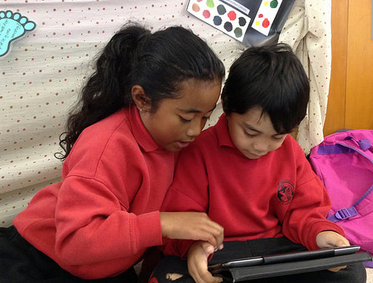 Of course they share via their blog utilising Flickr and Vimeo - but fundamentally the children would agree that we use 1 App. The students very quickly became proficient with creating their own EEs and I was moving into creating templates that I wanted them to use. The Smart Copy function on TD allows me to Smart Copy the EE Template directly to the folder of each student - it even names the EE correctly as it copies. 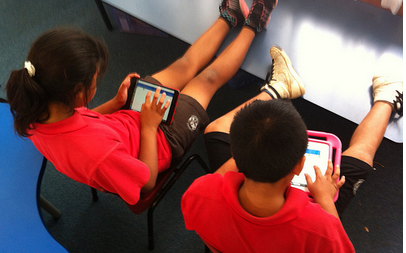 What could be simpler than students opening the App and finding their work waiting and ready to go? 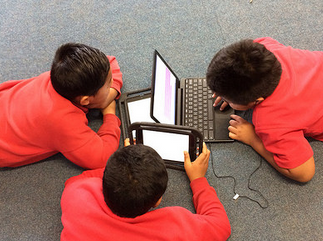 For 7yr olds, this technology has made our learning smoother, simpler and emphasises the learning - not the tech. To think that TD functions this beautifully across platforms excites me. 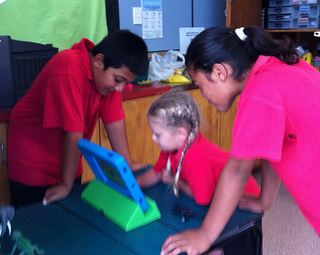 Almost limitless boundaries as we explore learning, creating and sharing on tablet devices in our junior school. 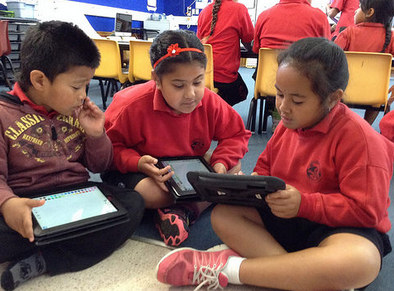 I just LOVE listening to the kids think as they complete activities using Explain Everything. The perfect way to really assess understanding. 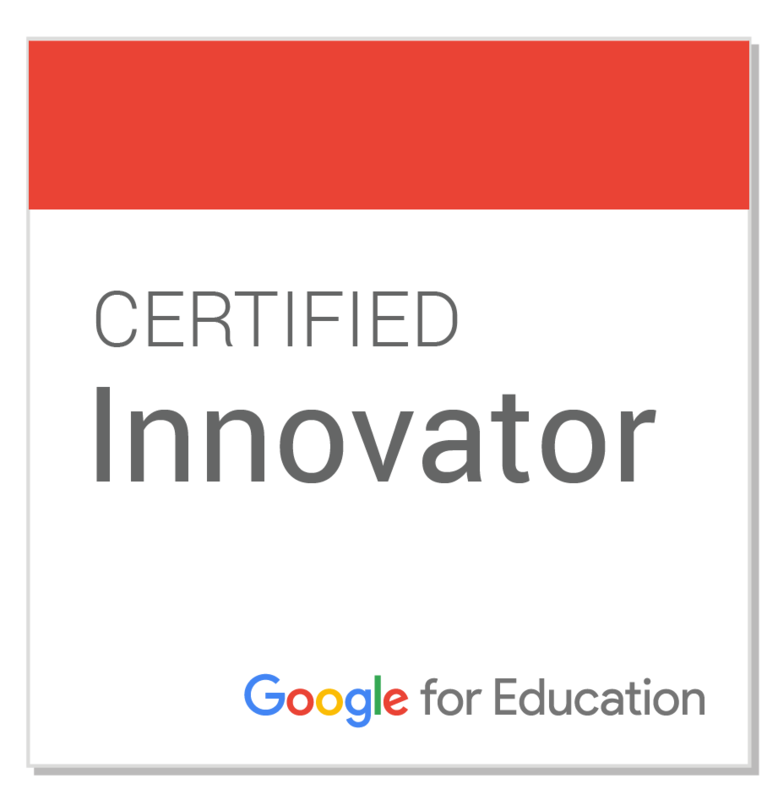 Even though I have spent 3 years in 1:1 Chromebook classes and 5 years running GAFE, there is still so much to learn in terms of delivering a truly digital, engaging, collaborative program, where learning is at the centre. With the switch to iPads from Chromebooks, I knew that some technical pieces wouldn't quite fit the puzzle in the same way and that I would need to adapt around that - no problem. I figured smaller kids would take longer to work things out - again, no problem. What I didn't count on, was that I would be changing up the pedagogy so early on. 2 years ago I made the conscious decision to develop a more cognitively engaging maths program where the students were prompted to discuss and orally share rather than fill out worksheets to practise strategies. Why I never carried this over to my literacy program, I am not so sure. With young students using iPads, there is a limit to how successful they are at directing a cursor to an exact point on a Google Doc, the highlighting of specific text and shuffling around is quite cumbersome and the interaction between our class sites and Apps is not so smooth. My initial reaction was that these skills would come with time and in the interim I began to print out group reading response sheets. This was a successful change, in the fact that the students were very familiar with paper and pencil and the "kids could get on with their work." The more I thought about how to fix this problem, I started to feel that the problem was in what I was asking the students to do, not in how they were doing it. Was I providing an engaging, collaborative reading program that was focused on Key Competencies and the development of reflective learners? - Nope. Why wasn't the literacy program more discoursive and reflective? As a class we are working towards sharing ideas, relating to others and participating, these can only be developed through interactive, shared experiences - Certainly not by completing a "follow up response sheet". So to start the new week on Monday, Class 12 has a new approach to literacy. We're still going to read HEAPS of books. We're going to learn new words and phrases. We're going to make sure that we are understanding the message in our stories. We're going to do all this by talking about our books and sharing our new learning in a discoursive and detailed fashion. Explain Everything is proving to be an even more powerful app than first thought and coupled with Hapara's Teacher Dashboard, the sharing of templates and completed movies, is just far too simple. 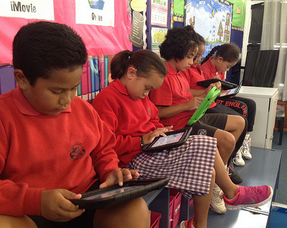 So watch the kids' blogs, as we aim to share even more awesomeness. As we are now solidly into routines and life at school, I was interested in finding out what, in actual fact, the students had internalised around the Key Competencies. How were they perceiving their learning, their success and their struggle? 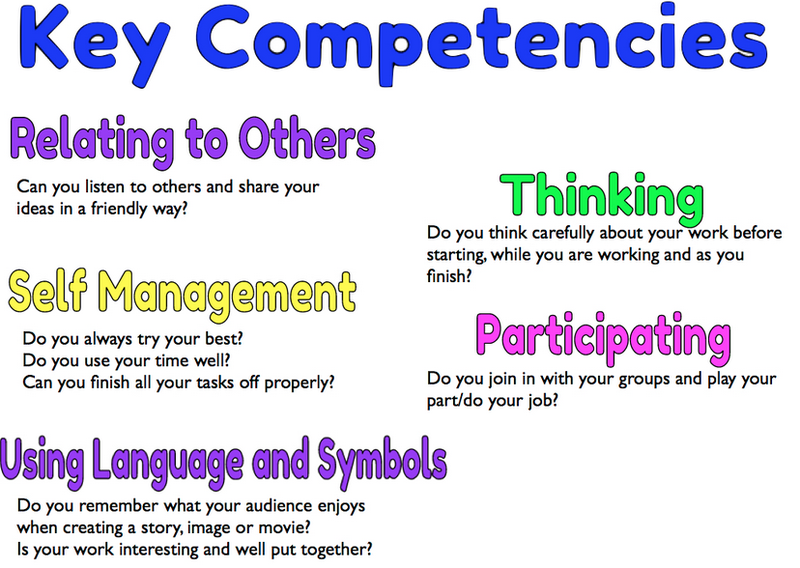 What do they Key Competencies mean to 7yr olds and their learning? I must admit that I have been pleasantly surprised by the first group to share their thoughts. The learners are clearly able to articulate their understandings and create both reflective and prospective moments in their own learning. How cool is it to see small children talking like this about learning?